In the central valleys of Oaxaca, there exists a silver and gold mining project named San José. Since 2008, this project has produced a permanent emergency situation in the municipality of San José del Progreso. That year, the mining company Fortuna Silver Mines corrupted the municipal and agrarian authorities in order to install their mining project. In spite of the aggressions, assassinations, contamination and violence produced in this municipality, the mining company has obtained profits of 2,124,252,000 pesos and only paid taxes for 4,252,000 pesos, meaning 2.001 percent of their profits. On the other hand, the Secretary of Economy has authorized the same company 80,000 hectares of territory of the central valleys, affecting nearly 80% of the territory of that region. At the state level, practically all of the regions have mining concessions. Within this context, the Colectivo Oaxaqueño en Defensa de los Territorios (Oaxacan Collective in Defense of Territories), together with the municipal and agrarian authorities of Ocotlán, Ejutla and Tlacolula, have decided to promote the campaign “Ni oro, Ni Plata, La Minería Mata” (Not Gold, Nor Silver, Mining is a Killer). 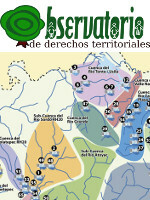 The objective of the campaign is to raise consciousness around the main impacts of mining in the State of Oaxaca. 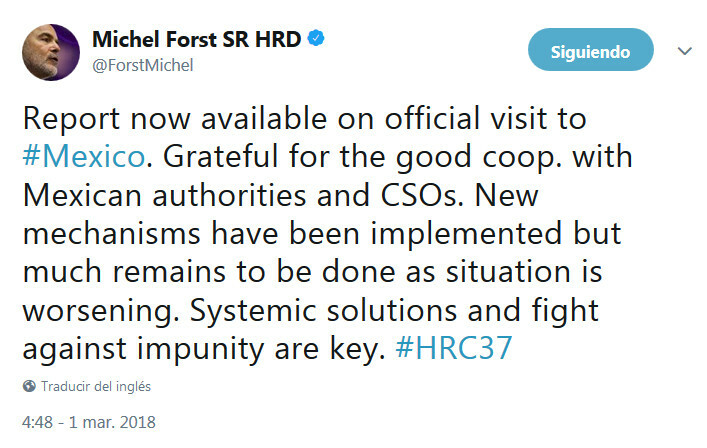 In Geneva, during the 37th Regular Session of the Human Rights Council, Michel Forst, the UN Special Rapporteur on the situation of human rights defenders, presented his report on the official visit to Mexico. In his speach, Forst said that Mexico has become one of the most dangerous country for human rights defenders (HRD), in particular women human rights defenders. Forst undertook an official visit to Mexico from 16 to 24 January 2017 an met with more than 800 human rights defenders. In the State of Oaxaca, he met with survivors of the violence that took place during large-scale teachers’ protests in June 2016. “Both those survivors and affiliated human rights defenders can only be considered to be protected when justice has been served, the perpetrators held accountable and the jailed protesters released”, remarks the Special Rapporteur in his report. On Wednesday, November 22, Mexican civil society groups addressed the European Parliament in Brussels, demanding the suspension of renewed trade negotiation between the European Union and Mexico until the protection of human rights can be guaranteed. “The agreement should not be signed so long as the Mexican Government fails to demonstrate its willingness to fulfill human rights,” said Olga Guzmán, member of the Mexican Commission for the Defense and Promotion of Human Rights, during a press conference at the parliament. Guzmán and other advocates described the dramatic deterioration of Mexico’s human rights situation over the last decade during a conference entitled “EU-Mexico Global Agreement: Human rights or commercial interests?,” organized by Spanish parliamentarians Josep-María Terricabras of the Catalan nationalist party ERC, and Estefanía Torres of the leftist party Podemos. 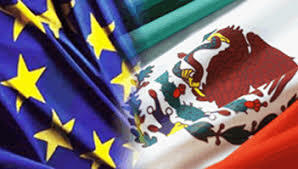 In a joint message released on November 1, the Foreign Affairs Ministries of Mexico and France declared that critical updates to the EU-Mexico Free Trade Agreement will soon be finalized. 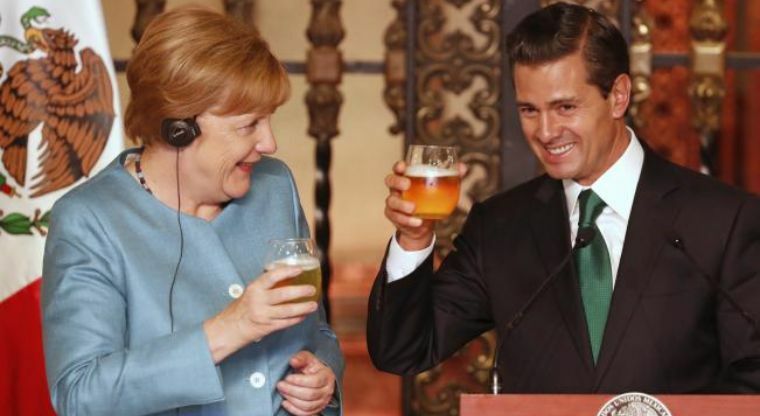 Authorities insist that the modernization of the 17-year-old pact, which is part of the Global Agreement, will enable greater access to Mexican products in the European Union as well as increased imports of European products to Mexico. Still, market experts point to the toll that free trade agreements have already taken on Mexico since 2000. Rather than diversifying its export markets, Mexico remains heavily dependent on the U.S. market: 80 percent of its exports still go to the United States. Moreover, the trade deficit with the EU is widening: between 2002 and 2015 it grew from €8.6 billion to €14 billion. 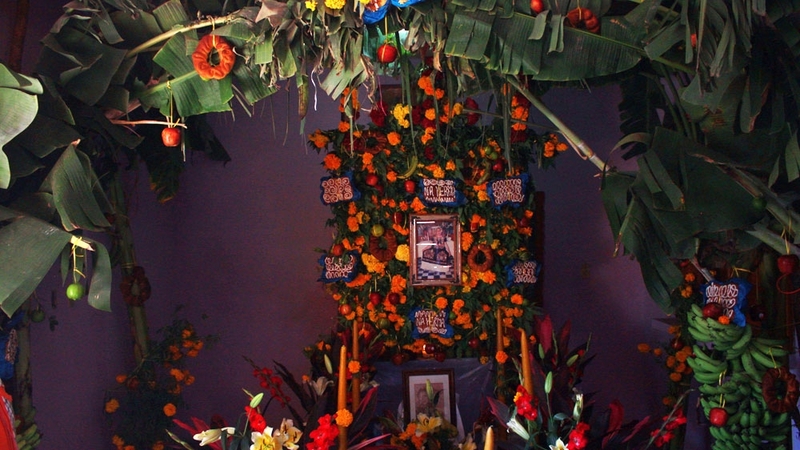 Juchitan is known for its Day of the Dead celebrations. In any other year, the streets of the city centre are crammed with vendors selling the yellow cempasuchil flowers and fruits that are used in the rituals. This year, the celebrations are much more modest. In the indigenous Zapotec language, which is spoken by most in the city, the traditions surrounding Day of the Dead are called Xandu, a Zapotec adaptation of the Spanish "Todos Santos" ("All Saints Day"). Xandu is celebrated between October 29 and 31. The biguie', the centre of the Xandu rituals, is a shrine that people build in their homes to welcome the dead. But Juchitan was hit hard by the 8.2-magnitude earthquake that shook southern Mexico on September 7, meaning the celebrations have taken on a new meaning. "Juchitan has completely changed, the dynamic of community life and social life has been cut off," Gaspar Cabrera Manuel, a Catholic missionary who works in Juchitan, told Al Jazeera. "People are focused on rebuilding their own houses and their own lives, and they've had to put other things aside," he said. Thousands still live under tarps, with relatives or in government shelters. Demolition of damaged houses has only just started, and reconstruction is still a long way off.